Future Proof Shares - Happy Fourth of July! — Future Proof M.D. 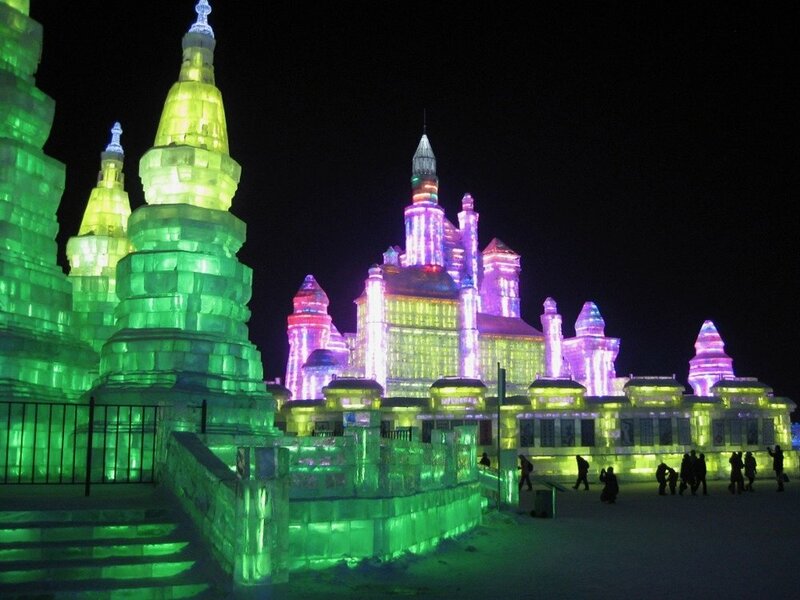 Photo of the Harbin Ice & Snow Festival (2011) from my personal collection. Two generations of Dr. Lius. My grandfather is 86 years old and he still stops by the clinic occasionally. This post, as well as all others on FPMD, are colored by my personal bias and preferences. So I thought I would share a bit about where I come from so you can get a better understanding of why my views are what they are. I was born and grew up in the largest city in northeastern China - Harbin, Heilongjiang. My hometown is famous for a few things: cold weather, Russian food/architecture and Harbin beer (an Anheuser-Busche Inbev subsidiary). My grandfather was a traditional Chinese doctor in a rural community (village?) called YongYuan, which translates into "forever source". As a child, I spent quite some time in his home and clinic where I got to see the kind of relationship he developed with the patients he served. Remember Sue Lowden's ill-fated 2010 senate run where she suggested that patients should pay for their medical bill with chickens? Yep I got to see that. Although a chicken was a rare form of payment. Most of the time, he would receive a basket of radishes or some other type of produce. The rest of my medical education journey, you already know from How I Became a Radiologist and Why Interventional Radiology? Gray income breeds mistrust - #2 and #3 together constitutes what's called "gray income." Since they are essentially bribes, it is no surprise that the physician-patient relationship has degraded dramatically over time. The default assumption is that your doctor is in medicine to make money, rather than to help you get better. I had a first-hand experience with this phenomenon recently when one of my family members became ill and asked me to review her medical records. Mistrust leads to anger and violence - I've always known that attacks on Chinese physicians by patients and their family members happen not uncommonly. But I didn't know how frequently they occurred. "According to a 2012 survey of nearly 6,000 Chinese physicians in 3,300 hospitals, 59 percent of doctors had been verbally assaulted and 6 percent had been physically assaulted. News accounts for 2002-2011 yielded 124 incidents of “serious violence” against hospitals, including 29 murders and 52 serious injuries." (Source: Chinese Doctors In Crisis: Discontented And In Danger). While I have shared a few disturbing facts about the Chinese healthcare system, I believe many other physicians from different backgrounds can probably share with you similar stories. On this day of BBQ and fireworks, I hope you will first of all, be safe. But I also encourage you to reflect on the privilege of living in the United States of America and becoming a physician in such a great country. Have a wonderful Fourth of July! I'm proud to be an American.